The competition will focus on using science and imagination to solve everyday problems. 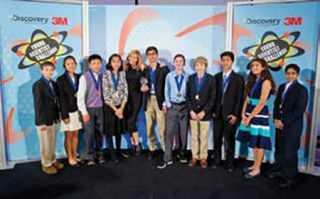 Any student in grades 5-8 who wishes to enter the competition can do so by submitting a two-minute video communicating their solution to an everyday problem and the science that supports it, by April 21, 2015. Of the videos submitted, ten finalists will be selected to participate.